Lamb mince makes the best meatballs in my opinion, but you can substitute the meat for beef, turkey or chicken mince. 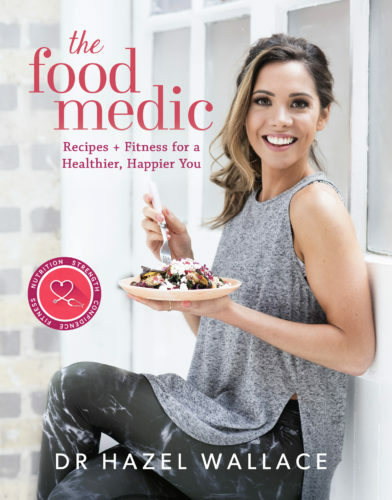 There are also so many ways you can eat them – in a wrap, on a salad, on courgette noodles, or simply on their own off a toothpick as a quick, high-protein snack. 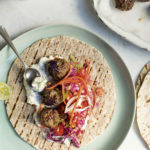 My favourite way to eat them is in a wrap, with lots of crunchy slaw and home-made tzatziki. 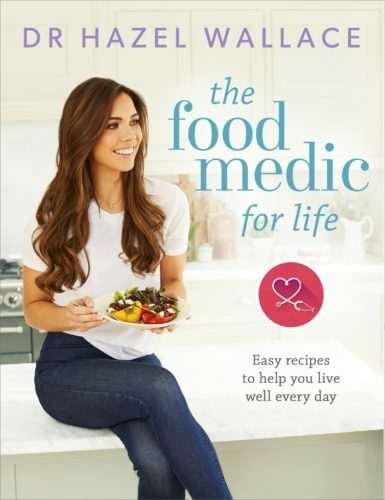 In a saucepan, sauté the onion and garlic in half a tablespoon of the coconut oil over a medium heat until translucent. Let it cool and set aside. Combine the mince, egg, herbs, and cooled onion and garlic mixture in a large mixing bowl. Add a pinch of salt and pepper and mix well. Using your hands make 15–20 small meatballs from the mixture. Add the remaining coconut oil to a large frying pan and cook the meatballs on all sides for 5–10 minutes until brown. You may need to do this in batches depending on the size of the pan. Place the meatballs on a large baking tray lined with greaseproof paper and bake for a further 8–10 minutes until cooked right through. 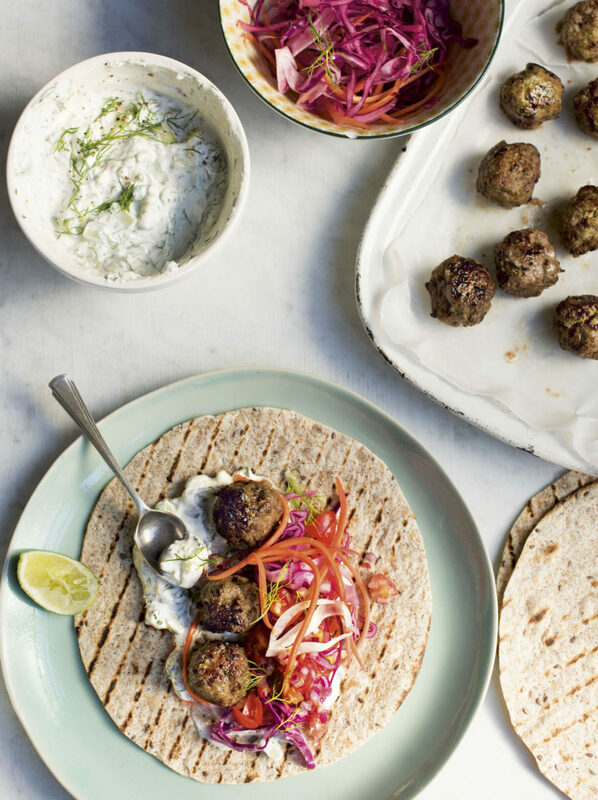 While the meatballs are cooking, combine the ingredients for the tzatziki in a bowl and allow it to chill in the fridge. 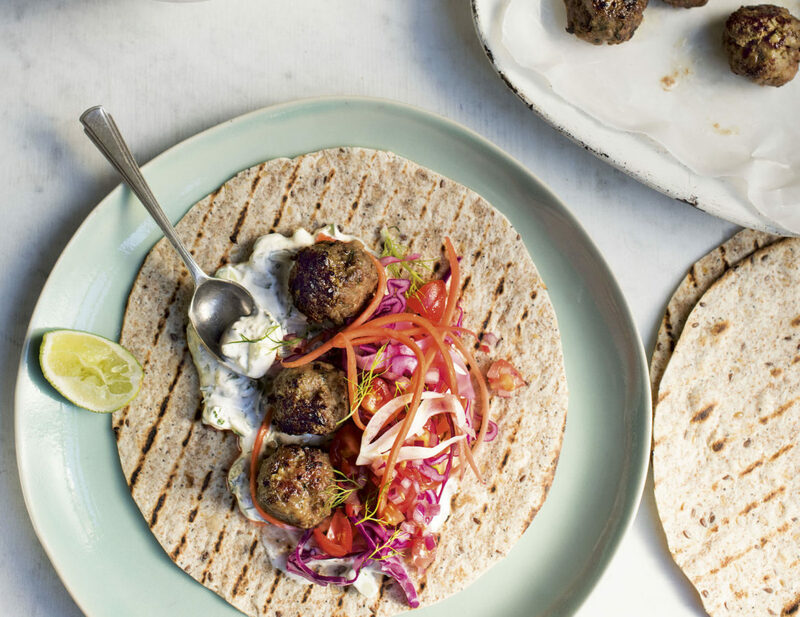 When the meatballs are cooked, serve with tortilla wraps, tzatziki and a crunchy slaw.